Our products carry certified government creditation and have been tested & re-tested to match an uncompromising standard for performance. Our recommended installation teams offer customers a first class, professional job, carried out by factory trained staff to a C.I.T.B City & Guilds standard. Assuring a trouble free quality installation. Our customer feed back has indicated that they are pleased with the service & attention to detail provided. Stencil-Tech headquarters are based between Huntingdon & St Ives, Cambridgeshire. Visitors to our site can view pattern & colour choices at our display centre open to view 24/7. We are expecting another very successful year in the Decorative Concrete Industry. Particularly as more and more people learn of its strength, beauty and low maintenance. 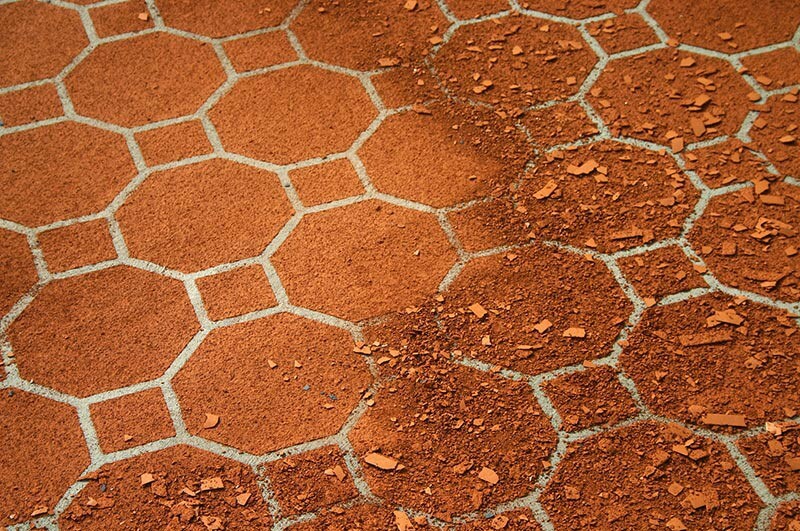 We are the leaders in this field with our high strength colour hardeners that can be used for Imprinting, Wetcast Stencil and Spray-on Paving. Our products carry full C.E.R.A.M British Standard Accreditation, which has out performed the most rugged of laboratory testing. Having Government Accreditation, has allowed Stencil-Tech Products to be used by many Architects and Council departments. A wide range of projects (including car parks, driveways, patios, balconies, roof terraces,swimming pool surrounds, pedestrian areas and street works) have gained from this. Heavy Traffic areas and prime locations in high streets, malls, drive thru’s and walk ways have all benefited from the aesthetic beauty, hard wearing and low maintenance our products provide. Stencil-Tech as a company have been successfully trading since 1997, and have been involved in many prestigious projects in the UK and Abroad, with distributors in France, Spain, Belgium,Ghana and many other continental destinations. Many people locally and around the world have successfully attended our training courses and progressed to becoming qualified installers. We have factory trained installers, nationwide,that will provide a first class service every time. We are a family run business spanning three generations in the Concrete/Construction Industry. We have a great reputation for providing quality products and services throughout the industry. So if its a custom logo or an individual stencil design,rosette or colour thats needed, with in-house manufacturing, specialist orders are no problem. With 13 patterns and 23 colours to choose from you can be sure to get just the look you require. Also in stock are a wide range of tools, equipment and consumables for all you installation needs. National Delivery & Installations for over 25 Years! commercial products. Get in touch – wherever you are!